Forza EP by SertOne (upfree74) is our free release number 75. Slow but steady: Upitup is ready to provide some new great music and very welcome addition to our roster! Liverpool based Irish producer SertOne has very kindly provided us and youze with his new Forza EP. 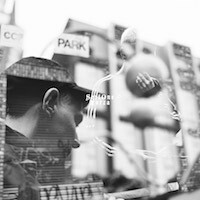 He is a very prolific artist and the quality of his productions is pyar Class A++, he's the man behind the label of the Fame of Fly High Society which includes artists like Iglooghost and Bolts and is an all round absolute don. Forza Ep is a six track EP where SertOne explores different possibilities in his favourite game, making fat massive beats! Each one has its character and different flavours, some are wonky, some have a huge bass, all very maxed up, you will be easily sold to our 75th free ep! Last but not least: we have decided to progressively upload our catalogue to Bandcamp, even if we are fully technologically indipendent on that side, we think that its a shame to leave that channel closed. At the same time we sadly abandoned the FMA (Free Music Archive) because it is now owned by a private company ( thanks for the incredible ride 1500000 downloads !!). Music on bandcamp will be still free but you are free to donate towards the label for future projects and keep it all like this for another 16 years and more! Soo Forza Upitup, Forza SertOne e Daje de Bangface in a few weeks!! ! Que Aproveche ! 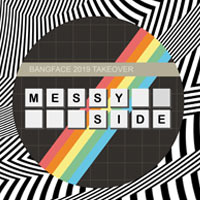 Messyside Takeover - At Bangface Weekender 2019. Mark Forshaw, SertOne , Jacques Malchance , Isocore, M T Hall , Bastardcunt , Rich Furness , Tony Loco , Simon Jones Chillout Donk Experience and Dj Bad Eror Lad. Get onto the day tickets for Thursday HERE, they cheap, you are welcome. Isocore - Fegato - UPFREE73 - Free Download! 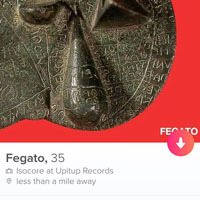 Isocore has a new album out Fegato and is available now from Upitup. The album was initially released and distributed through the app Tinder in Liverpool, and after the Ban, through Happn in several cities like London, Tokyo, Moscow, Berlin, Milan and Tarquinia. After a succesful transaction over the dating app the album is now available for everyone to download. We would also like to thank everyone who purchased the Canary Warp usb stick release, hope you are enjoying it as we are, now there are only 6 LEFT worldwide of this unique Upitup physical release containing also a full lenght video feature, limited to 50 copies. Happy 2019 everyone, will make our 16th year one to remember! And Isocore would like to thank everyone who matched and interacted during the launch campaign! The slogan "Up It Up!" can be comprehended as a battlecry of digital culture. Unless you "up something up to the network", it stays where it is, unshared (in your brain, on your pc etc.). To "up it up" equally means to "go for it", to "make it hot". Upitup has been releasing free music since 2003. Based in Liverpool, Stuttgart, London and Rome, we initially just wanted to make our sounds accessible to the public. The idea was to create an open platform for sharing ideas and staying/getting in contact with people. We later realized we're running what's considered a netlabel. Upitup remains completely uninfected by commercial interests - to the contrary, we love to see the music industry trying to catch up with new technologies while suffering from their self-imposed politics. We are proud to be able to supply our music for free. Do we need to mention that you can also book us?